Dealing with thin hair can be frustrating and annoying. While there are a variety of factors why someone may have thin hair, some due to factors that are entirely out of our control, you may be doing yourself no favors by certain routines. Our professional stylists at our hair salon say there are many things we do on a daily basis that could be causing hair to thin and break. We have all been there, you are running late for work or to meet someone, so you throw your hair up into a ponytail shortly after leaving the shower. This could be causing serious damage to your locks, especially thin strands. Hair stretches when wet and by putting it up in a ponytail as so puts further stress on your hair and can cause it to end up breaking. 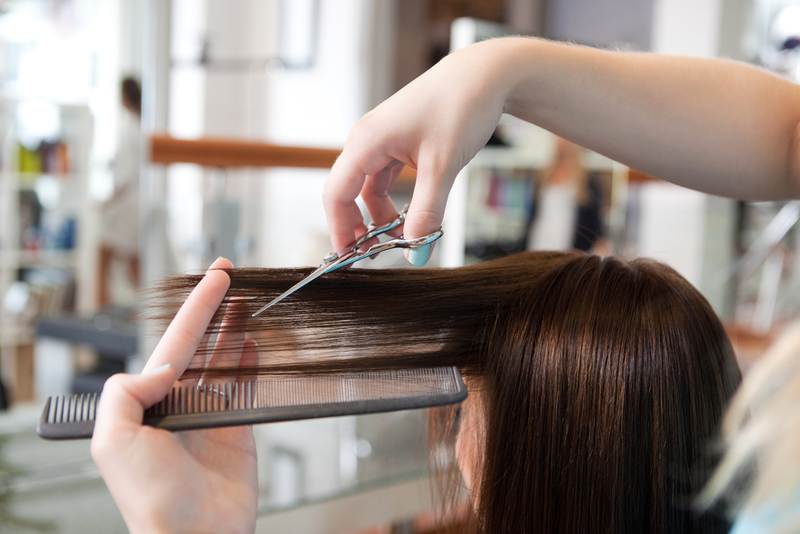 At Charleston hair and makeup, we know how tempting it can be to throw some hair oil in your hair to make it feel nice, but we also don’t recommend it for the individuals who have thin hair. These oils are typically heavy, and it can lead to the strands sticking to your scalp becoming flat. We recommend trying out a deep condition route instead of the heavy hair oil. This one may come as a surprise, but the professionals in our hair salon say that if you add just a little bit of color to your hair, it can enhance thickness. By the contrast of highlights and shadows, your hair can appear thicker and fuller while also physically plumping up the cuticle. Just like your face, your scalp needs moisture. You may be avoiding this for the sheer fear of your hair going flat but if you purchase a volumizing conditioner, then you have nothing to worry about. These types of conditioners will work with your limp strands so that you can get the most out of your hair’s body. This is a common problem that we hear occur in the world, and our professionals at Charleston hair and makeup want to shed some light on this topic. Washing your hair every day is not good for it, especially if you are dealing with thin and brittle hair. By washing every day, you are only making your hair dryer and thinner. The best route is to take a day or two between washes and in the meantime, you can use dry shampoo to give your hair that freshly washed look. Brittle and thin hair is never something someone wants to deal with, but the fact of the matter is that it happens. Sometimes you just can’t escape it. So if you are dealing with this type of hair, make sure you are not doing anything to make it worse. Keep these tips in mind during your daily routines to avoid any further damage.